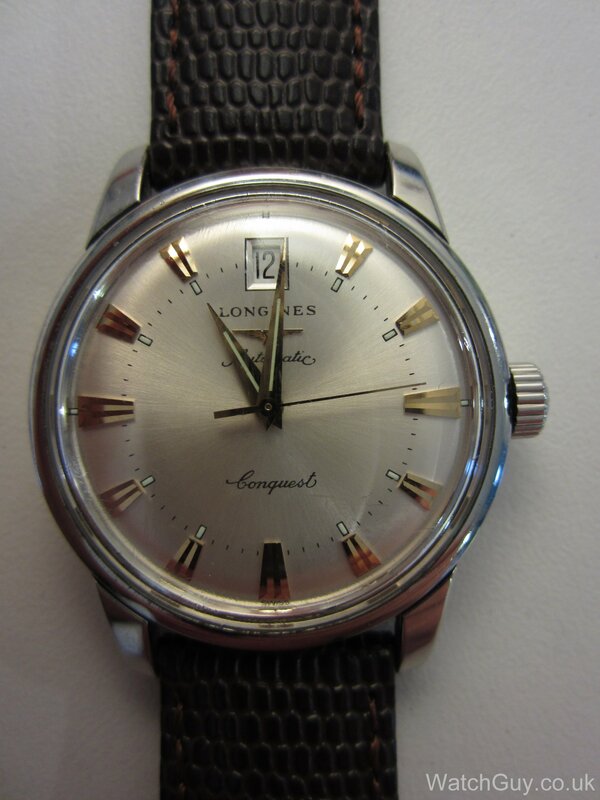 Tom sent in this great looking Longines Conquest. Super classical look, and I like the date at the top. Unfortunately, it is a bit ill and needs some TLC. It sometimes stops randomly, and doesn’t keep good time. 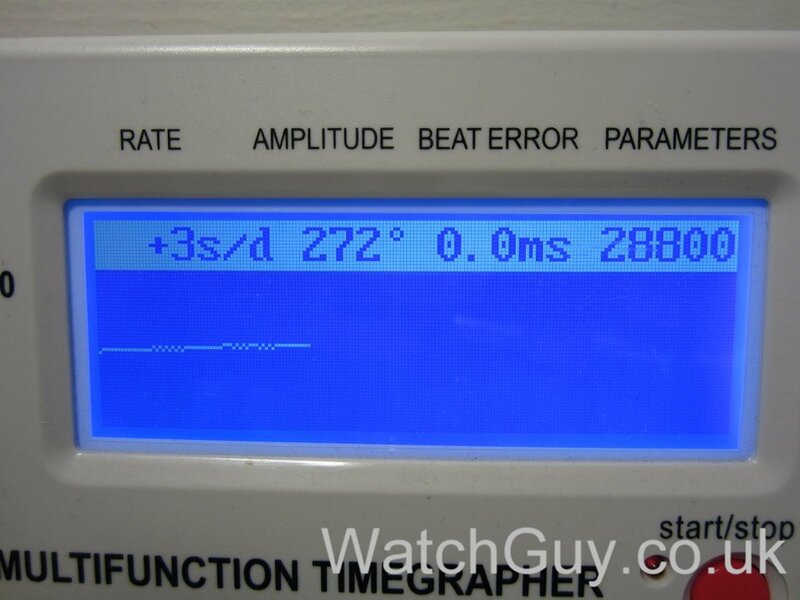 Well, that doesn’t look good and explains the trouble Tom is having with the watch. This is what I call “someone spitting on the timegrapher screen”. 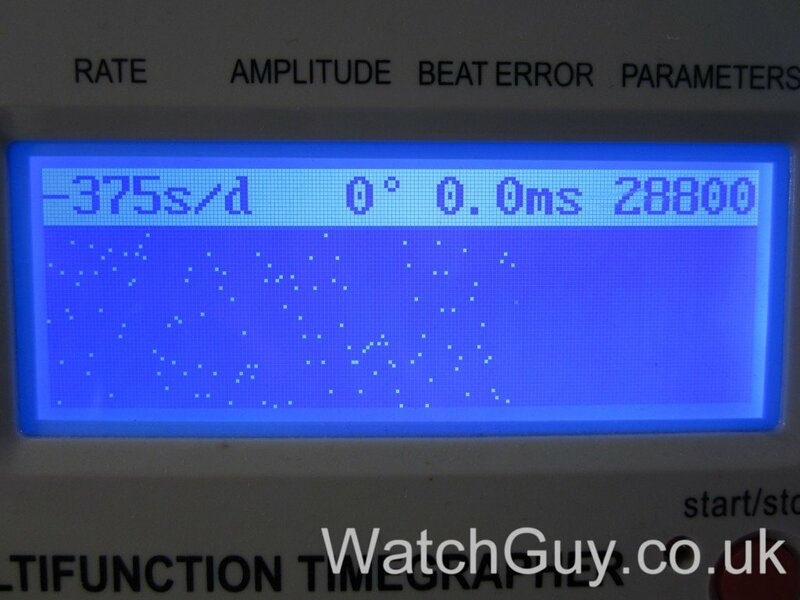 No wonder the watch is having problems. Longines brands this movement as a calibre L633.5, but it’s an ETA 2824-2. 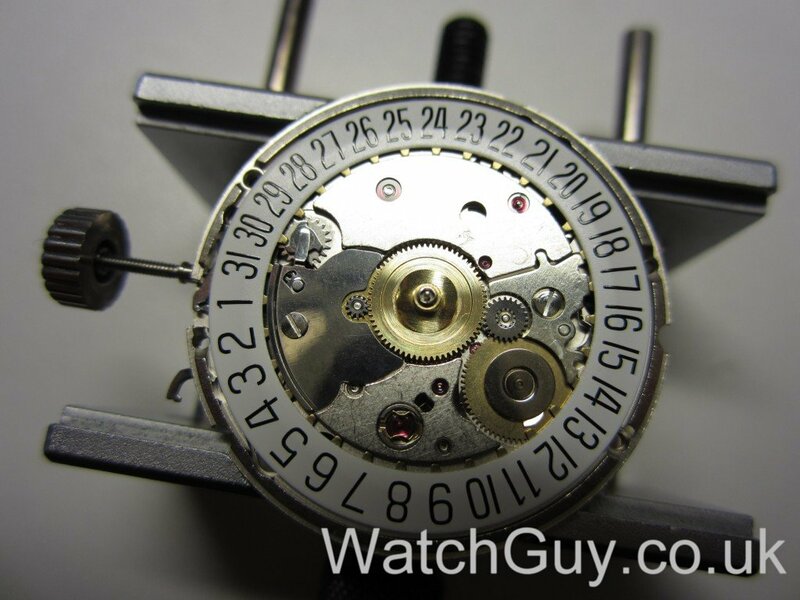 This is a high-quality movement, and a quite accurate one as well. With the movement taken apart, we’re ready for the cleaning machine. 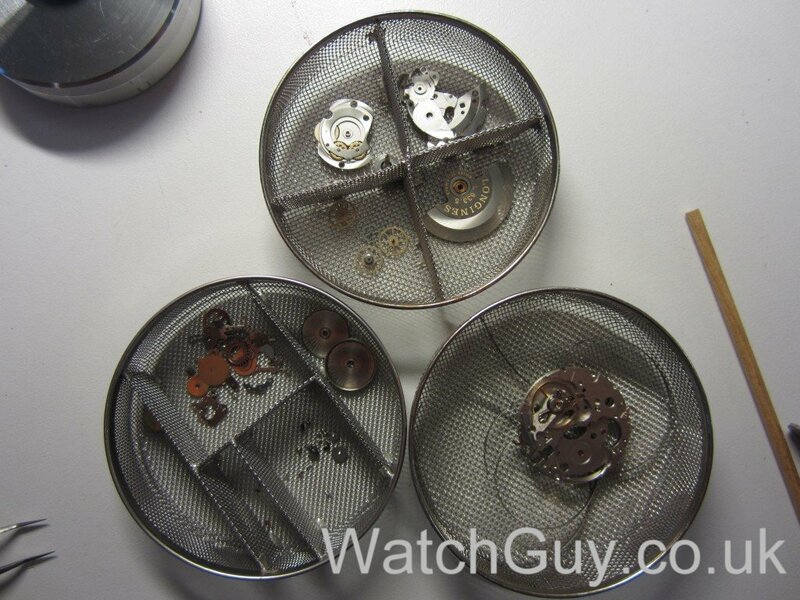 I’ve ordered an new mainspring and crystal, and can now start to put the movement back together. The movement is coming back together, with the gear train already in place. That is what I expect from an ETA2824-2. I will do a final adjustment before closing the case. The bottom plate back together and ready for the dial. 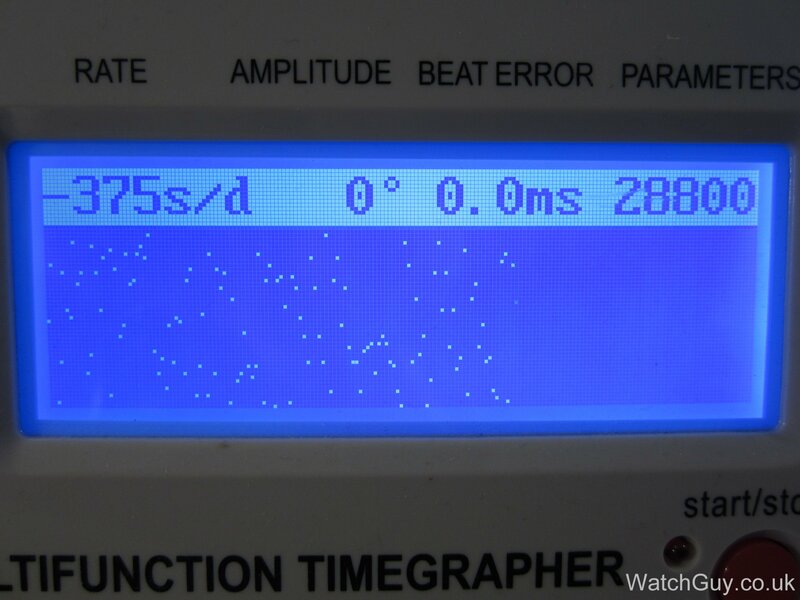 I test if the watch is watertight, and the leak tester says yes. Can anyone help to get a technical document (assembling) from L633.1? 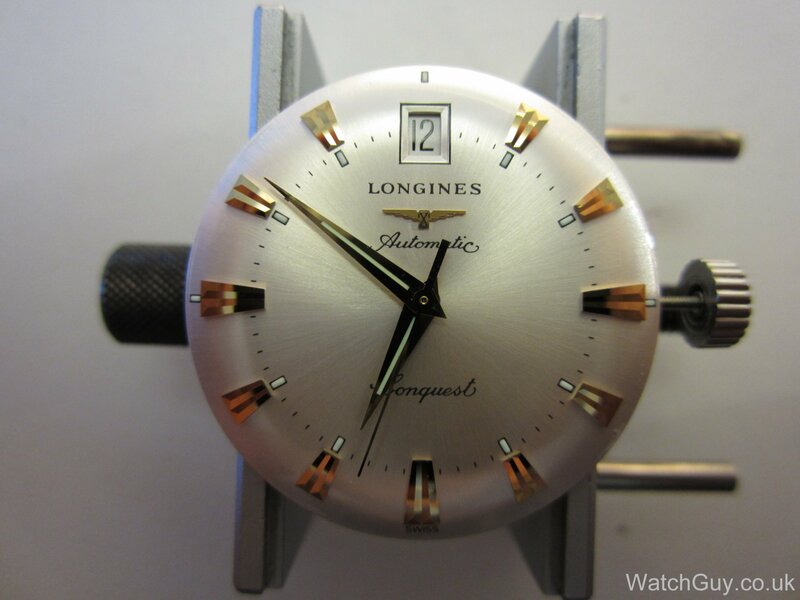 Hi , I purchased the Longines “Conquest” two weeks ago and I am happy with it over all and consider it a beautiful watch for the price and for what I want for a nice simple dress watch .However I am a little disapointed to read that the emblem is stuck on with glue, is this a common practice these days ? I was wondering if the Longines “Conquest” watches from the 1950s & 60s had thier emblems stuck on with glue as well? 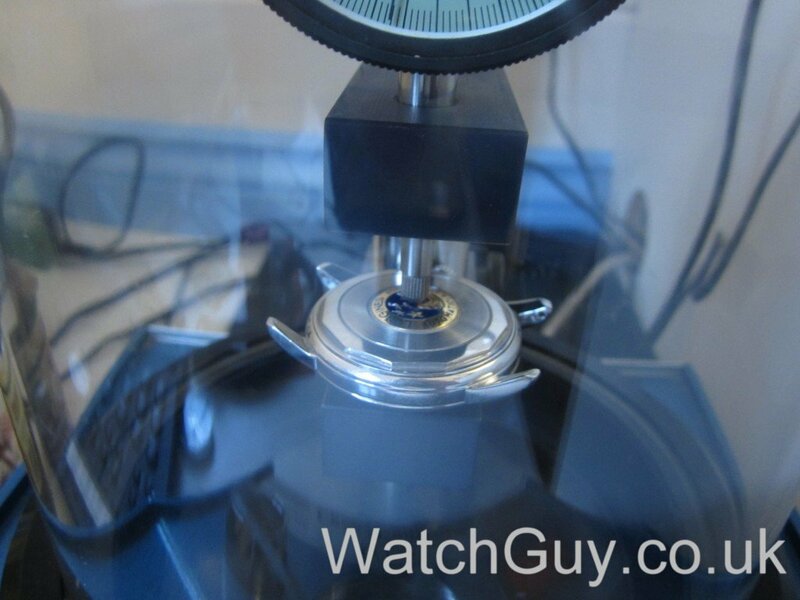 Usually, the markers and emblems are riveted onto the dial. I bought one of these a six years ago. Within the first couple of weeks I put it down on a stone worktop and the gold logo on the back of the watch just fell off. I was very disappointed to find that it is a hollow pressed piece of thin gold sheet and yes, it was held there with glue. Felt conned. I have this exact same model. Lovely watch, with one of the most tasteful dials on the market. 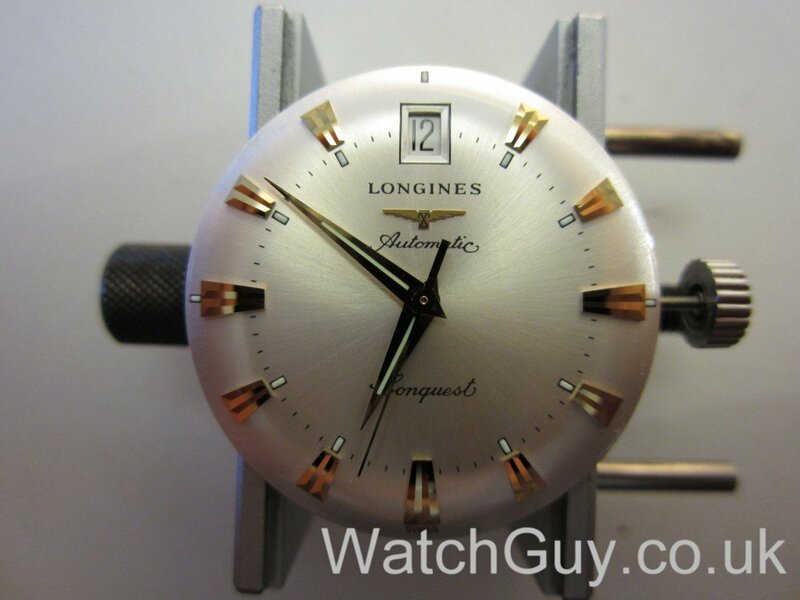 If only Longines had adorned it with an alligator strap instead of the – admittedly high-quality, but plaintive – nappa one, it’d be even more beautiful. 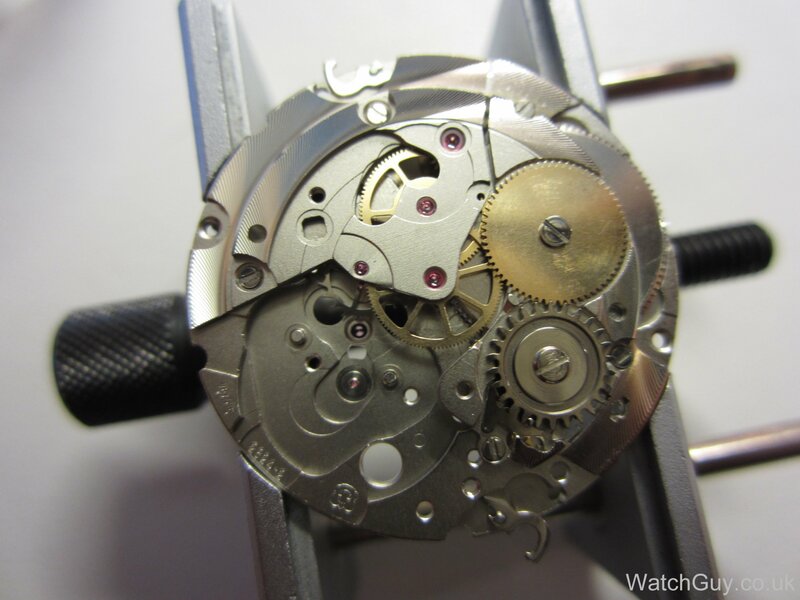 What grade is the movement in this particular model? Looks like a custom grade. It has a level of decoration. And the “better” incabloc shock system. 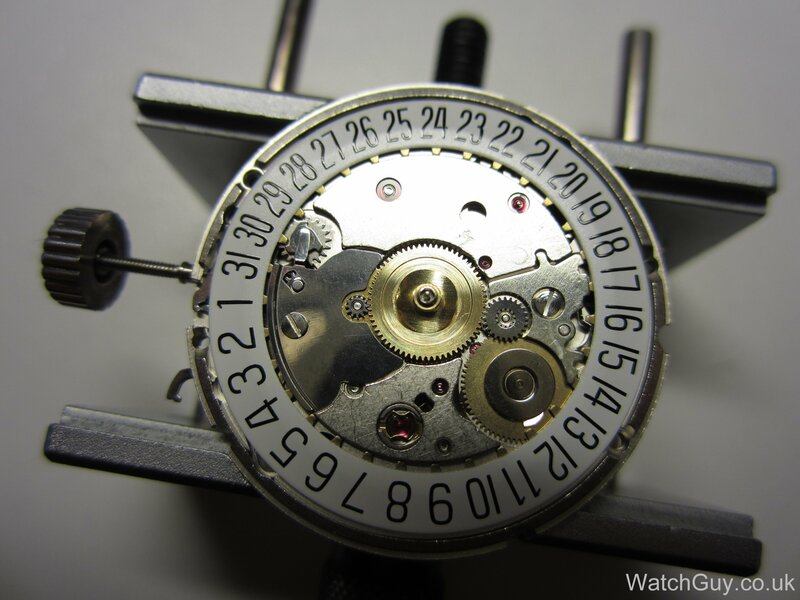 But doesn’t have the nicer Glucydur balence as you can tell by the spokes, so it may or may not have the nicer mainspring or hairspring materials. Looks like an in between of a elabore and top grade. Which would make sense for this watches price range. Once my psychic capabilities are fully developed, I will remotely diagnose the problem. In the meantime, grab a repair slot from the booking page and send the watch in. Thank you for detailed information. 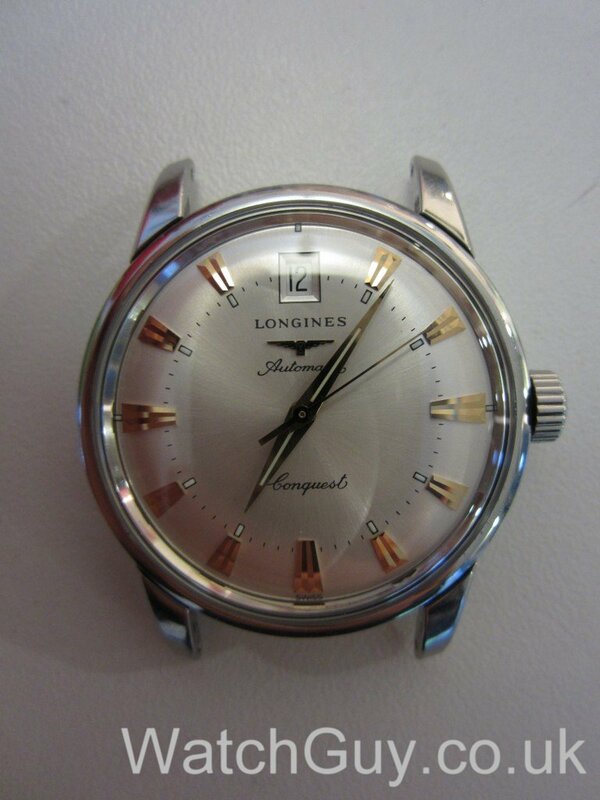 I have exactly same model of Longines. I have two questions. 1. If I try to wind this watch manually, after few turns, it becomes hard to wind it further. Is it normal with this movement? Generally automatic watches do have a mechanism which prohibits from over-winding the watch. 2. I have bought a watch winder, for this watch should I keep it on ‘anti-clockwise’ or ‘bi-directional’ setting? Please advise. Thanking you in advance. 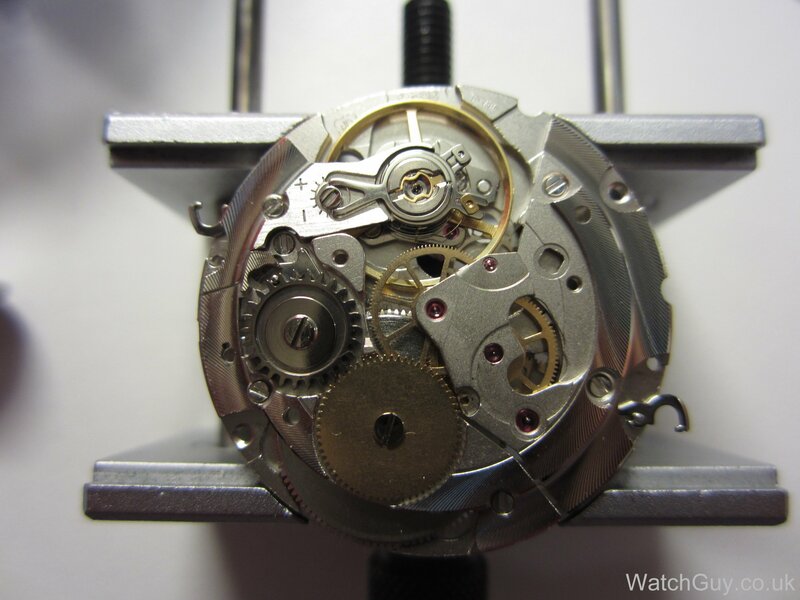 Automatic watches are most of the time harder to wind than manual watches as you have to move parts of the auto wind mechanism as well. You can’t overwind them, but there is no distinct stop as in a manual wind. I have a question about this watch. 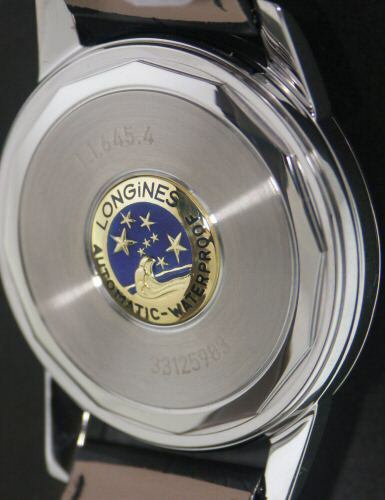 I bought one of these recently (brand new from a reputable Longines Authorised Dealer in the UK) and after just a few weeks, the enamelled medallion on the back (photo: http://www.righttime.com/images/case_back/l16454524back.jpg) came off. I had assumed the medallion was an integral part of the same piece of metal as the rest of the case back; not only was that not the case but it was glued on in what seems to have been a cheap and flimsy way. 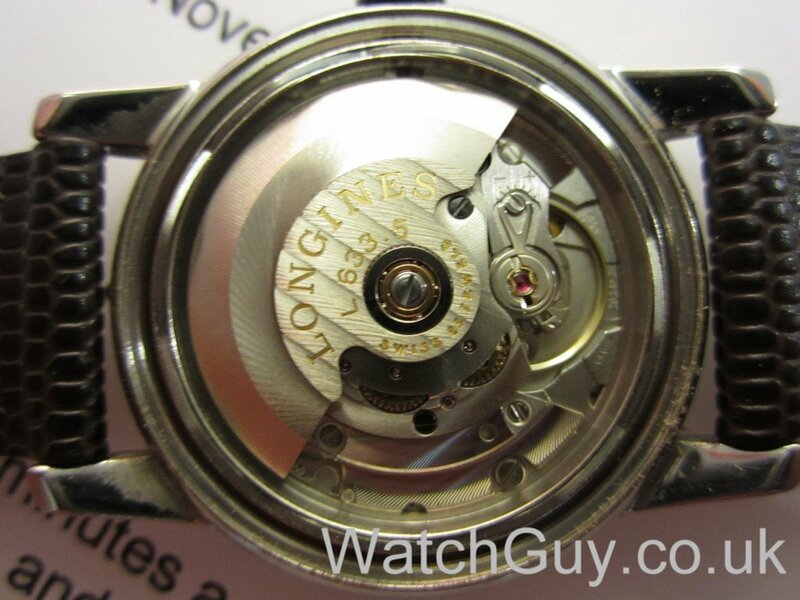 My question is this: when you worked on this watch, did you notice anything else particularly cheap about the way it is constructed? 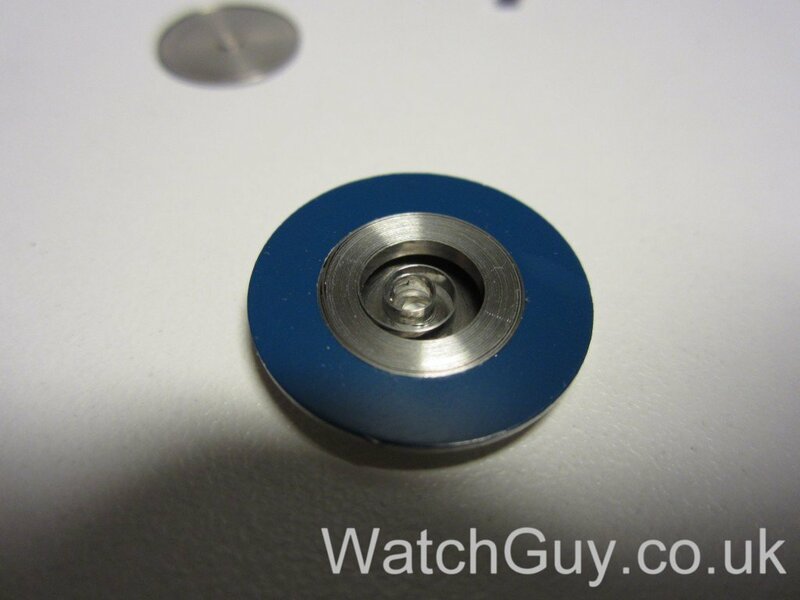 For example, how is the back made – is it milled/machined and solid, or is it a stamped-out part? 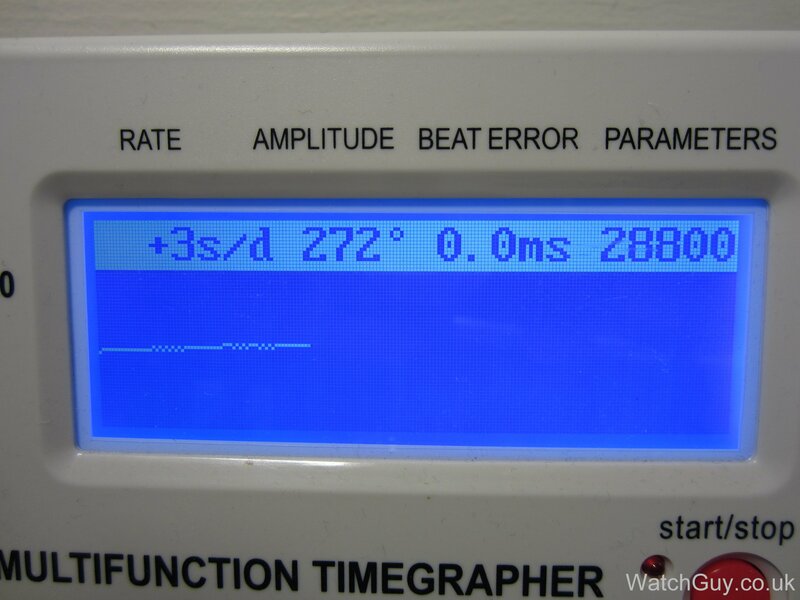 How are the indices applied to the dial – are they fixed well, or might they be the next thing to come unglued? I like the way the watch looks but now I feel I’m wearing something rather cheaply made. What was your own impression? Beautiful watch. By your estimate, is that L633 a standard 2824 or elabore? I like this watch. I will buy one of this in the future. Just a beautiful watch. Timeless timepiece. 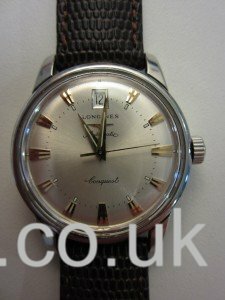 Longines might be able to help you, or you could have the dial restored. It will look slightly different from the original, but it’s a workable solution. Now thats a dress watch I’d like to own! I like the date position – the whole design in fact. Was it already set to 12 or did you do that just for the photo..?